Last Man Standing returns at the start of the Premier League Season. 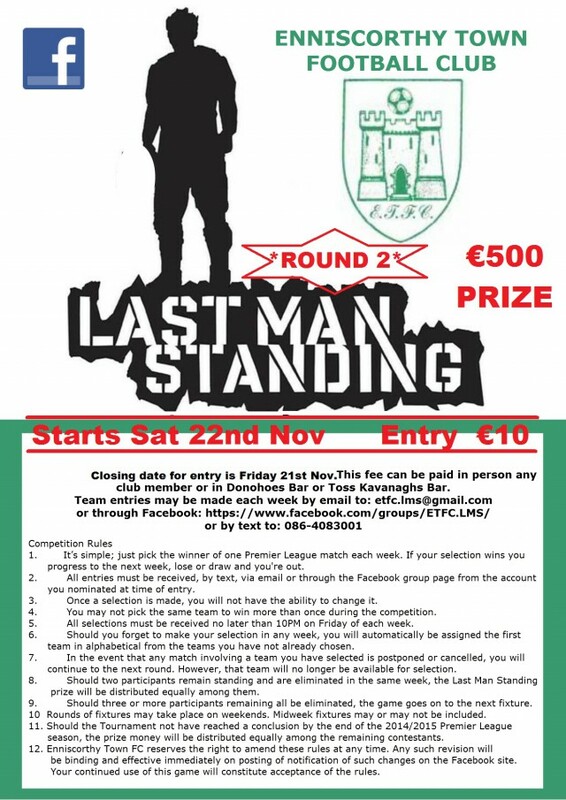 Entry is €10 per person. Categories: last man standing, Uncategorized | Permalink. Congratulations to John Fielding, Last Man Standing Champion!! Congratulations to John on winning this years first LMS competition. After 9 game-weeks he out-picked everyone to claim the €500 prize, and just in time for Christmas! Categories: enniscorthy town football club, last man standing, Uncategorized | Tags: enniscorthy football, Enniscorthy Town, last man standing, lms, wexford football league | Permalink.